Love blue? This dainty gemstone necklace will do the trick. 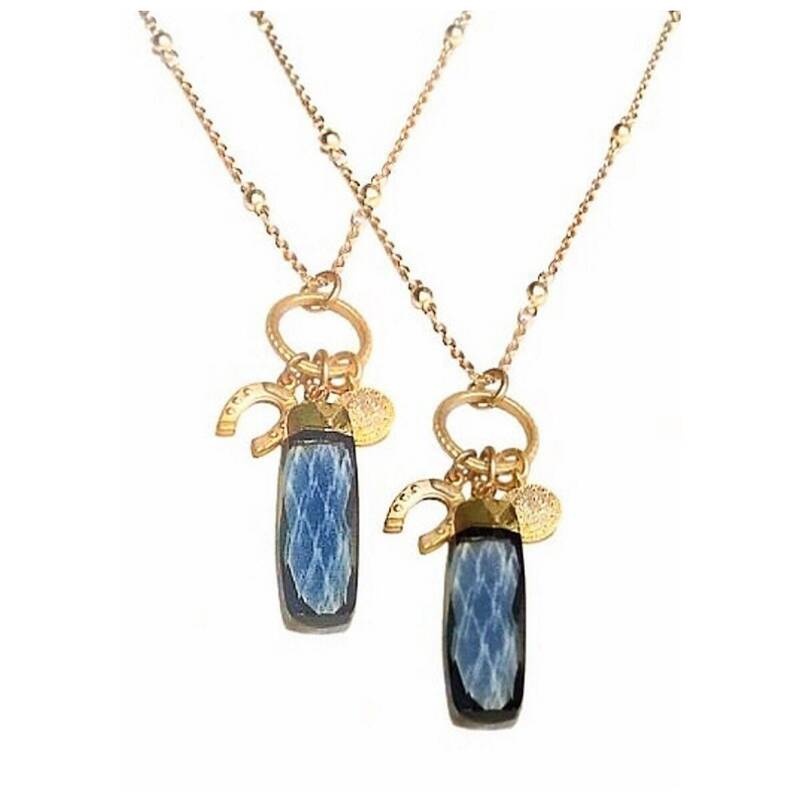 Perfect to wear alone or layer with other necklaces, this gorgeous blue iolite pendant would look fabulous with denim. The iolite is an amazing color— perfect for dreams of being at the ocean. And it would be great to gift for a girlfriend or sister who loves dainty pieces with a punch of color. 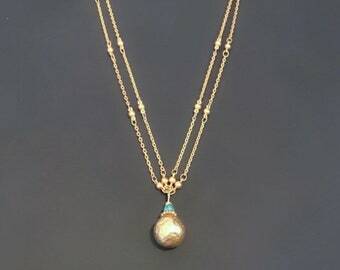 This necklace comes beautifully boxed and ready to gift! Note: Because of the organic nature of each iolite pendant, yours may have slightly different coloration than the ones pictured. 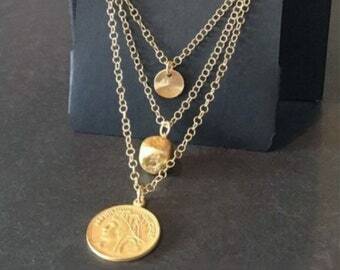 Please select the chain length you prefer at checkout (16,18, 20, 22 or 24 inches). The iolite pendant will hang one inch off the chain.